Rhode Island faces generally low-to-moderate threat levels, and the state has a number of assessments and plans in place to address future climate risks; in particular, it has done more to implement climate adaptation plans than most states. 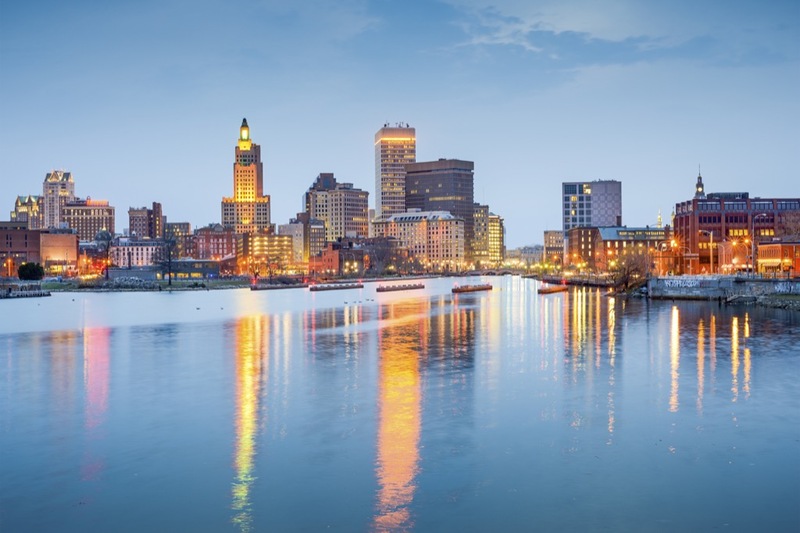 Rhode Island has a small vulnerable population and a relatively moderate climate; nonetheless, it has taken considerable steps to understand and plan for changing heat threats, and to begin to put those plans in action. Rhode Island faces a below average threat level compared to other states assessed for inland flooding. It has taken strong action to address its current risks and more action than most states to implement adaptation measures for its projected future risks. Rhode Island faces an average level of threat from coastal flooding; it has done less than the average state to address its current risks and to understand projected future risks, but more than the average state to plan for them and implement adaptation strategies to address these future coastal flooding risks.